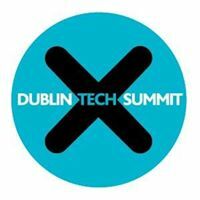 Featuring talks and sessions with both established and upcoming entrepreneurs, the Dublin Tech Summit will bring you up to date on the latest innovational developments of the technology industry. Hear from the leaders of today who are shaping the future of your sector and create lasting relationships with like-minded individuals at this eagerly anticipated event. With over 200 speakers and global investors taking to the stage and 10,000+ attendees from over 50 world media outlets expected, the Dublin Tech Summit is focused on bringing together a community of thinkers, shapers and doers.